Today I’m sharing a really cool-under $7-drum shade that I made out of poster board from the Dollar Store! Because everything is better with tassels, I finished it off with a tassel trim. 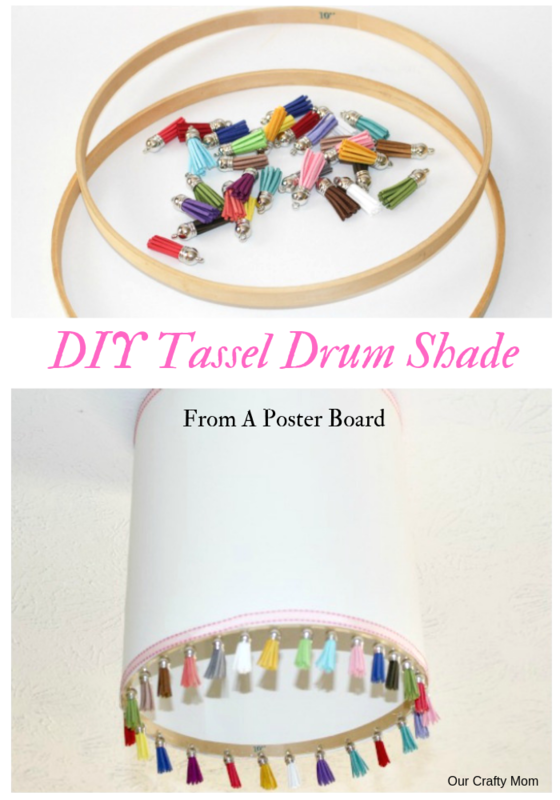 Let me show you how easy it is to make this Tassel Drum Shade With Poster Board. 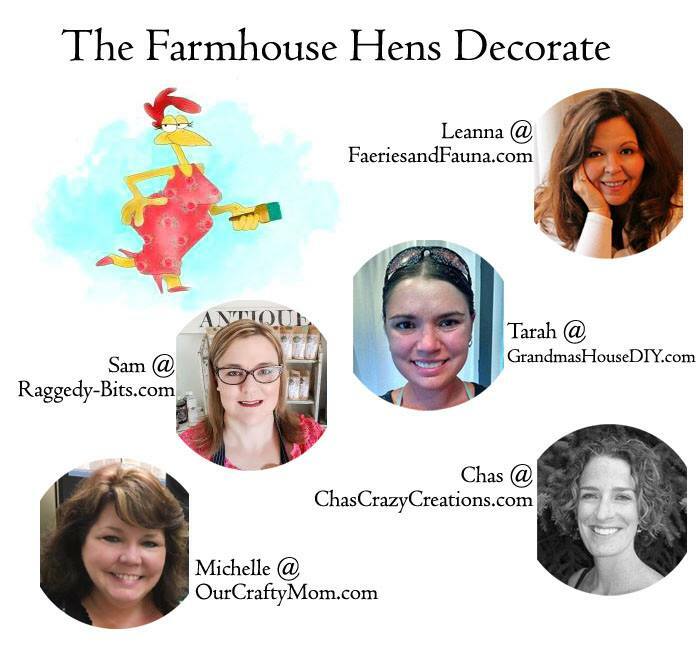 The Farmhouse Hens are back with our monthly challenge and this month is all about lighting. 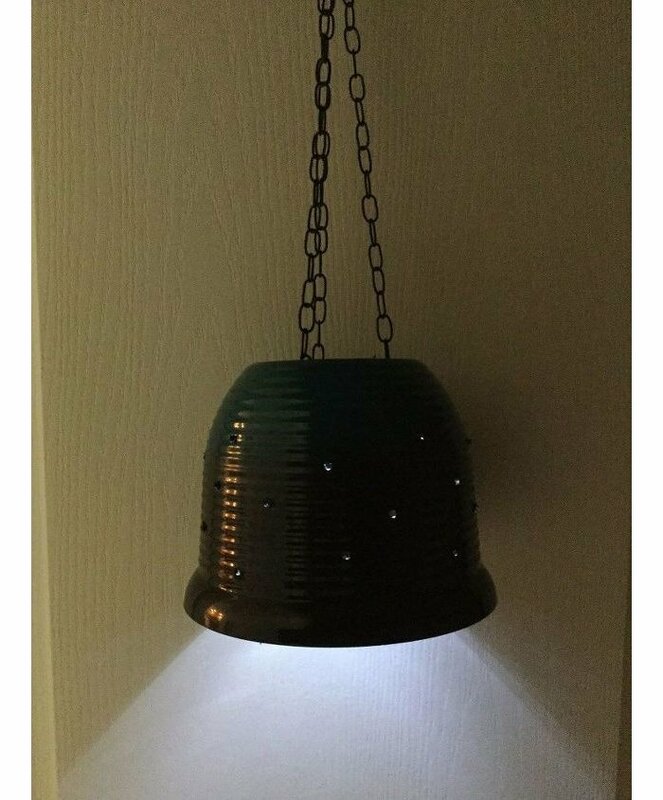 I wanted a fun, unique light for my craft room. It was also important to stay under budget. So, I spent some time trying to think about what I wanted and I thought a drum shade would be cool. I looked around at thrift stores but couldn’t find the elongated shape that I wanted. So, what is a crafter to do? Make her own of course! 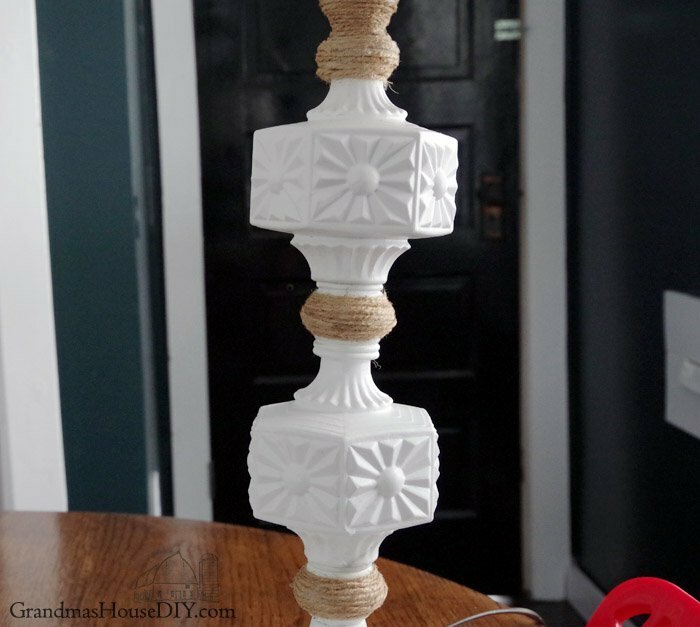 Let me show you how easy and inexpensive this was to make! 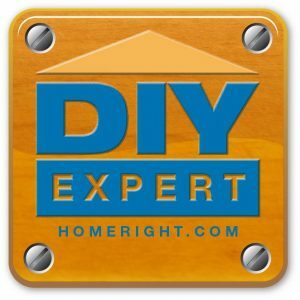 Cordless Hot Glue Gun-I’ve owned this cordless glue gun for over a year and LOVE it! It is cordless so it makes crafting so easy! Step 1 – Decide how long you want the drum shade to be. I folded it lengthwise and held it up to the ceiling light where it would be hanging and ended up going with about 14″. 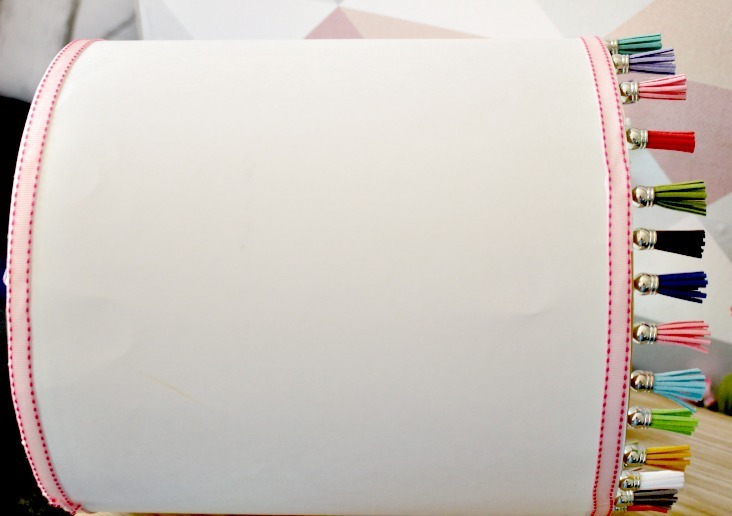 Step 2 – Add hot glue to the outer edge of the embroidery hoop and roll the poster board around it. 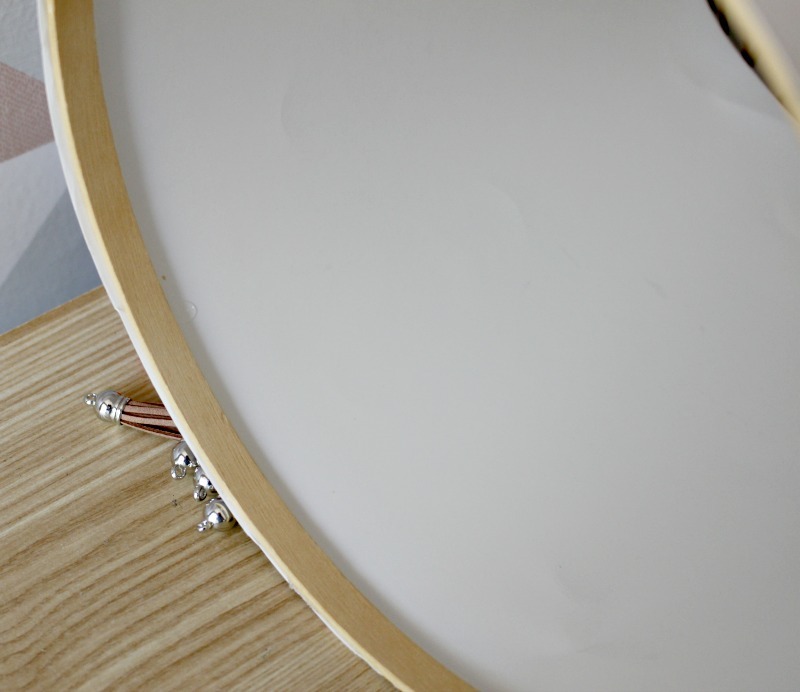 Do the same thing with the second embroidery hoop (the inner hoop) to make the bottom of the drum shade. 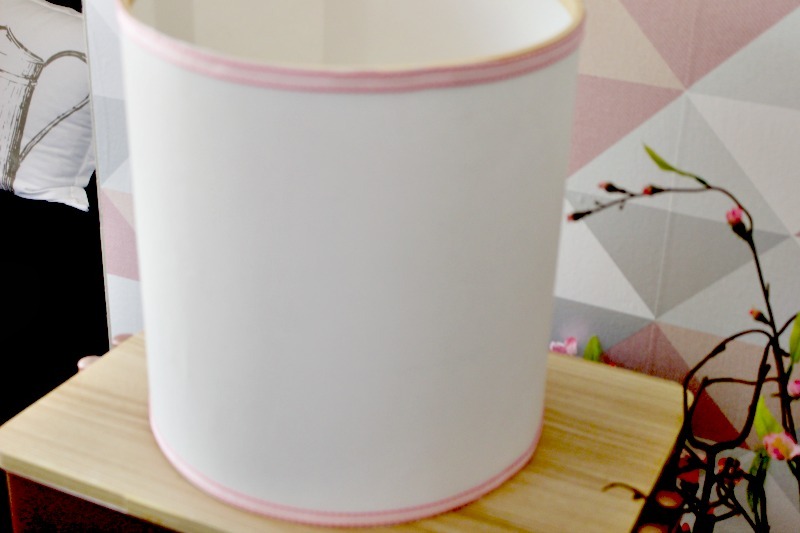 Step 3 – Add ribbon trim to the top and bottom of the drum shade. This was also hot glued. 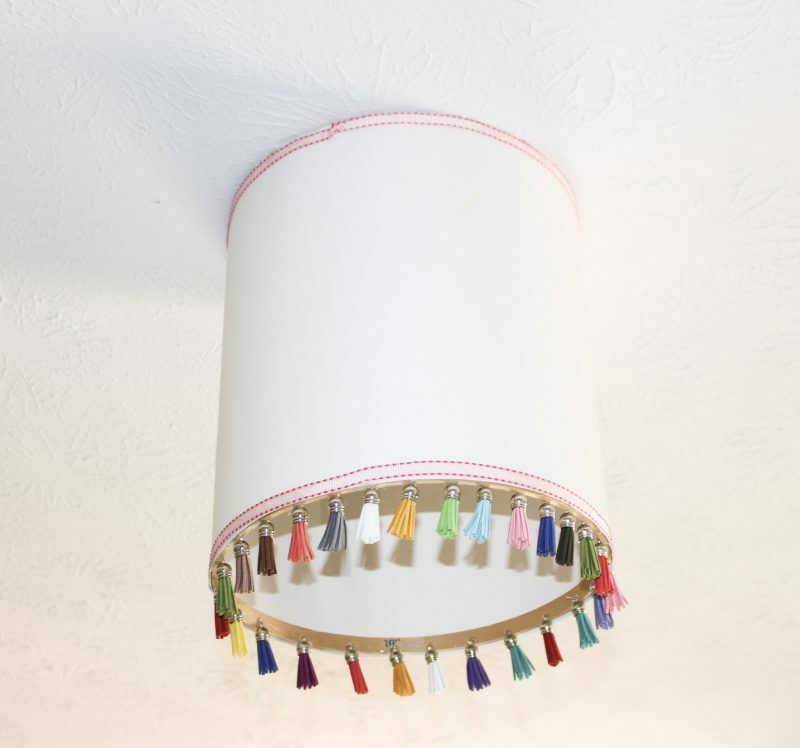 Step 4 – Hot glue the tassels around the bottom of the drum shade. 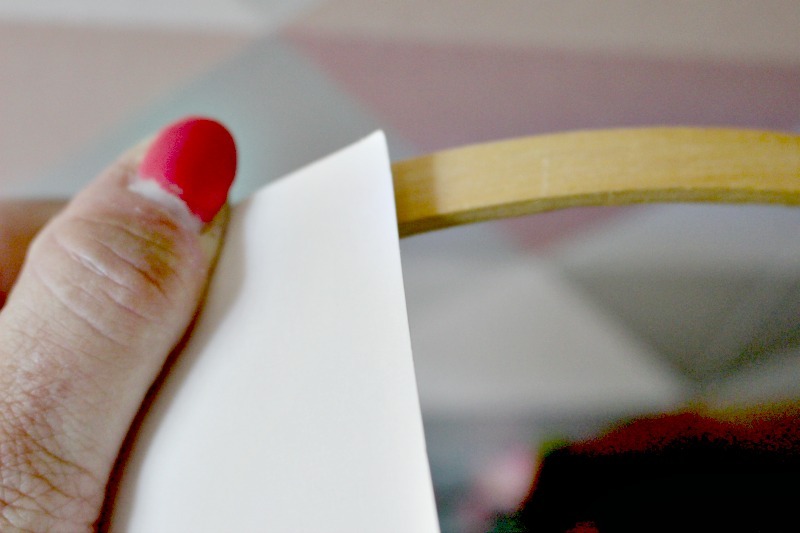 Be sure to glue these to the inside of the shade so you don’t see the glue. Step 5 – I was able to use cup hooks to hang it to the existing ceiling fixture. There are little holes in the fixture that the small cup hooks fit in. However, you can also use wire to secure it to the ceiling fixture. Here is a photo of it with the light on. It gives a soft glow. I just love it. 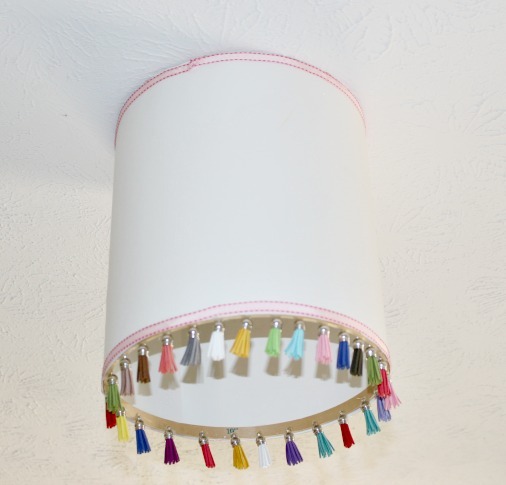 A fun, quirky light for my craft room! 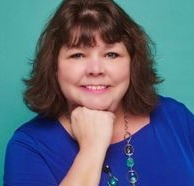 Please stop by to visit the other talented ladies linked below to see their lighting projects! 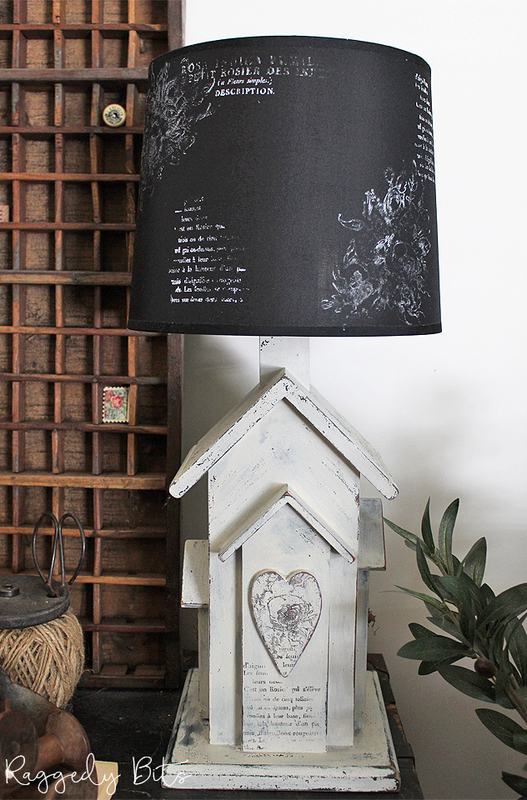 This really is a fun and quirky light for in your craft room. 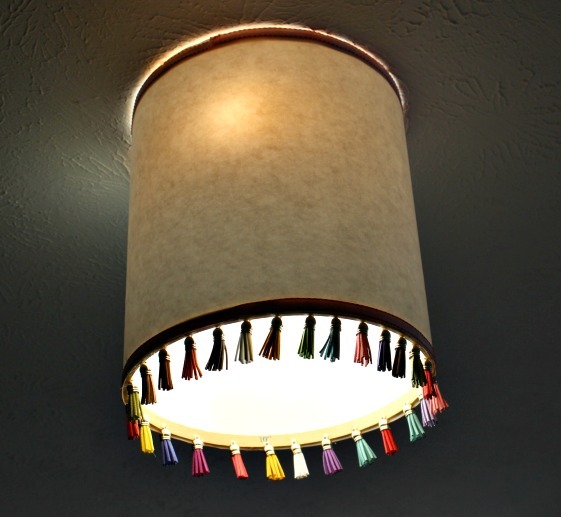 The tassles are my favorite part, it really makes the lamp fun and sunny. Such a cute and easy idea, so inventive. Oh my gosh, this is so super cute. I just love those tassels and all of the color. Fantastic job my friend! Super cute, boho look, Michelle! Hope you will come and link-up tomorrow at Homestyle Gathering! How awesome is this!!! 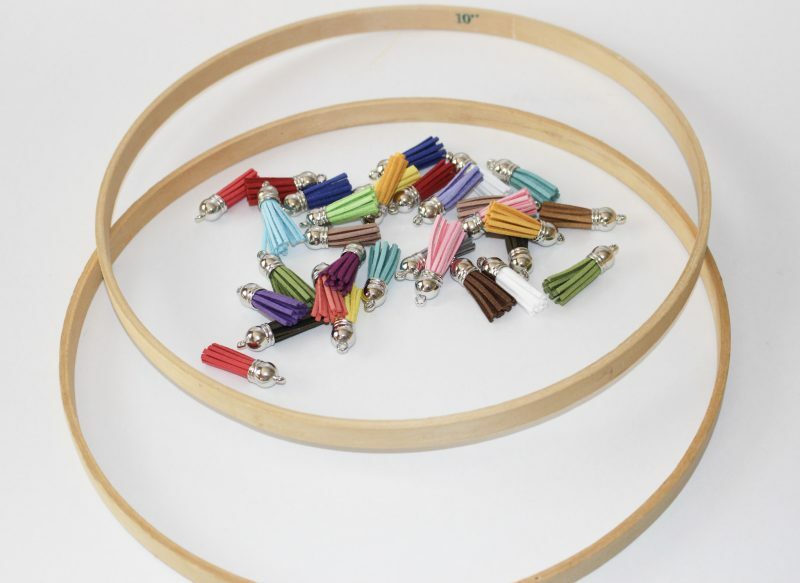 What a great idea with using the embroidery hoops!! So clever and perfect for your craft room space! Such a great idea. Lamp shades can be expensive and hard to find the right size. So cute. Thank you Rosemary. I’m really enjoying it! Super cute idea. 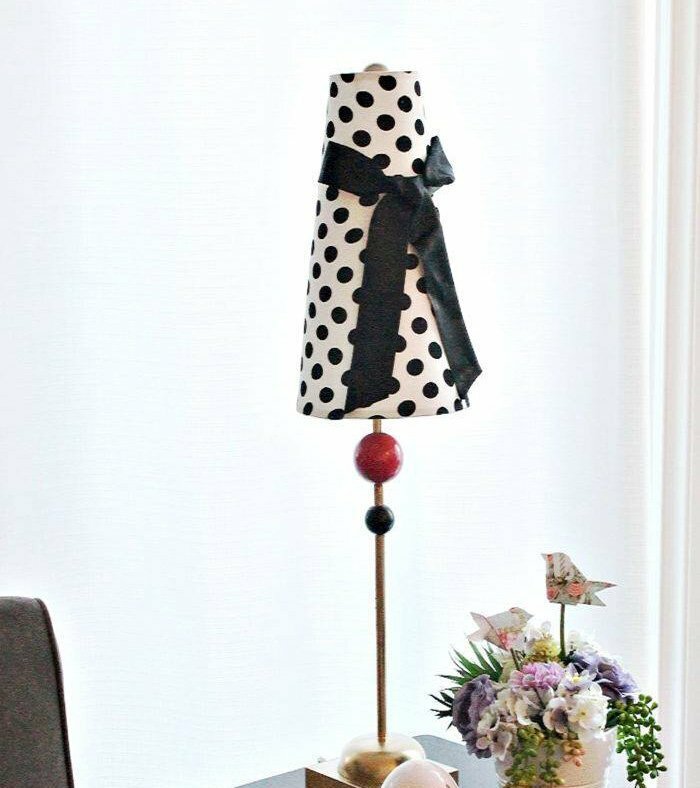 You DIY lampshade is so colorful and cheery. Keeping this on in mind.